Happy Wednesday loves, we're that much closer to the weekend - though my weekend won't be much of a break as I'll be working and then flying back down to Melbourne to work. I can't complain, being a Freelance Writer and Social Media Manager is the best possible career I could ask for. So, onto the topic of today! A few weeks ago I went along to the Bridal Expo in Sydney and... let's be honest.. while it's brilliant to see all of these fabulous ideas you could use in your wedding, few of them are able to fit into the average Bride's budget - I imagine they spend a fortune to be at those expos and their prices definitely match up. One idea I did see that I am seriously considering is the Matrimoney Account from Community First Credit Union. 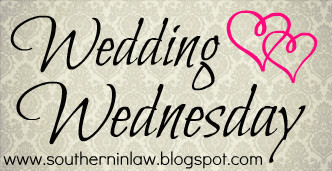 Why it stood out to me was, because unlike everything else related to weddings, it doesn't cost a thing! No fees for you, no fees for your guest - just a simple $2 account set up fee that is returned to you when you close the account. I know it sounds unbelievable - but I've checked into it and it's 100% true. Rather than having a wishing well or box for cards and money/gift certificates/whatever, you set up your Matrimoney Wedding Bank Account with a picture of what you're saving for - and your guests can deposit money into the account. This saves having to have someone watch over the chest/wishing well/box throughout the reception and it means that your guests don't have to carry money around - definitely something interstate guests wouldn't want to do. When you sign up for a Matrimoney account, Community first also send you cards to pop into your invitations - letting your guests know that you have an account set up and how they can deposit any money and another card which guests can pop into a card, letting you know that they've made a deposit into your Matrimoney account. For Jesse and I, this makes sense. We're starting our new lives together completely from scratch so of course we are going to need money for a lot of necessities. It also makes it far easier and safer than a "wishing well wedding" and means that your guests can simply transfer money online - even if you have guests that can't make it to the wedding, but still want to send something. So tell me - what's your opinion of money as gifts? I think it's definitely a tricky situation - a lot of times for birthdays/Christmases I prefer to give a personalised gift, however, for weddings giving money makes complete sense to me - and it's so much better than a gift certificate for a store that you will never use! Personally, and I am not trying to be tacky, but I think it is extremely tacky. When I get married I would not even expect any type of gift, nor would I specify that I wanted money. If you two need things for a house then why not set up a registry, pick out things you need and have people select rather then having them donate cash. 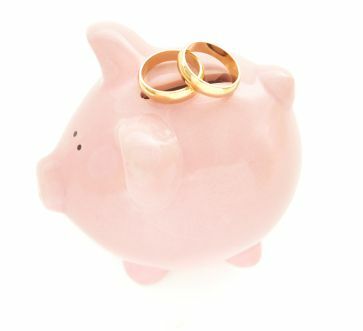 If you need cash to start your life together then why not start that first and then get married? I know he needs a visa to stay here but you could still get yourselves organized. Thanks for your comments but for us, this is what is best. I wouldn't want a gift registry because there aren't things we need. I don't need a toaster or a crock pot. Personally, the last 5 wedding invitations I've received were all "wishing well weddings", so I know I'm not the only one. A wishing well is different to a bank account. A wedding should be about the couple celebrating their love, not their guests donating money to them before they have even been to the wedding. Would not be forcing anyone to "donate money" I feel this is a far safer option, as do many other couples. That's my personal choice, you have yours - as I stated in the post, if you read it, it's a matter of choice and a tricky situation.